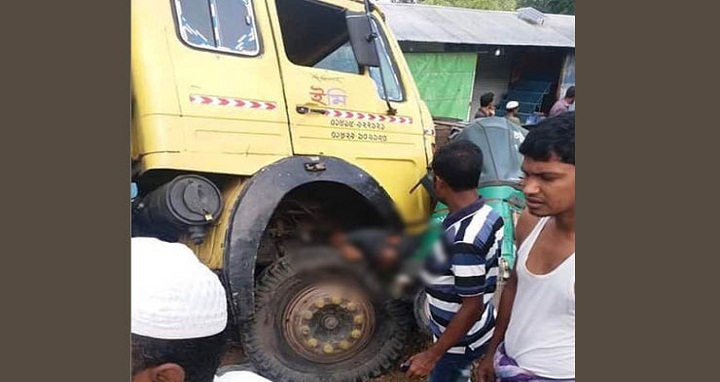 Dhaka, 25 September, Abnews: Four auto-rickshaw drivers and a passenger were killed while two others injured as a speeding truck rammed a crowd at an auto-rickshaw stand in Thakurdighi area of Mirsharai upazila on Tuesday morning. The deceased were identified as drivers Shah Alam, 40, Didarul Alam, 35, Kamrul, 45, Mosharaf, 26, and passenger Mohiuddin, 60. Shamsul Alam, station officer at Kumira unit of Fire Service and Civil Defence, said the accident took place around 6:30 am as the coal-laden Dhaka-bound truck hit a crowd of rickshaw drivers and passengers while they were standing at the stand, leaving four dead on the spot. Among the injured, one died on the way to Chattogram Medical College Hospital, he added. The two injured--Liton, 25 and Sohel, 22, were admitted to Mirsharai Upazila Health Complex. Meanwhile, locals caught the truck driver and handed him over to Zorarganj Police Station.